The FAA said Tuesday a safety board gave initial approval to new training for the 737 MAX – one piece of the process to get the 737 MAX back in the sky. The new proposed training is now open for public comment before the FAA gives final approval. The new training will require pilots to get an overview of the plane's controversial MCAS. That's the automation system 737 MAX pilots didn't even know existed until after it appeared to cause a Lion Air jet to nosedive into the Java Sea in October. Then, a second 737 MAX crashed in Ethiopia in March. MCAS is a suspected culprit in the crash, too. "When one system fails, everyone should not die," lawyer Kevin Durkin said. He represents the family of Samya Stumo, a passenger on the Ethiopian Airlines plane. The family is suing Boeing. 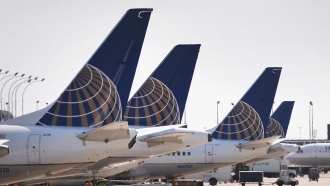 "They wanted to be able to give the airlines an airplane that would go faster, go further and take more people without changing the basic design of the aircraft," Durkin said. Without the MCAS, pilots used to the older, so-called "New Generation" 737s, would have needed simulator training, according to pilots. 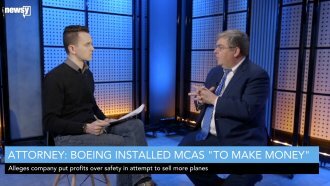 "The 737 MAX 8 has significantly different flying characteristics than the new generation aircraft," American Airlines pilot Jason Goldberg told Newsy. "It has a different engine, a larger engine... the engine is mounted in a different place on the wing. The aircraft is considerably longer... The MCAS system was installed in order to give the MAX a seamless, very similar flying experience for the pilots." The MCAS monitors the plane for abnormal pitch: the angle at which the nose is pointed into the sky. If it senses the plane is stalling — as in, losing lift — it pushes the nose of the plane down. But the MCAS only knows the plane is stalling, using readings from "angle of attack" sensors. Just one faulty AOA sensor could make the plane think it was stalling and push the nose of the plane down. If the plane wasn't actually stalling, that meant a nosedive. As Newsy first reported in early March, Boeing's update will make the plane look at two sensors and compare the information they're sending. If they disagree by more than 5.5 degrees, the MCAS will not push the nose down. Boeing is adding the redundancy as part of a broader update to the MAX. FAA officials say Boeing has yet to submit that broader software fix for safety approval. The company's CEO told an audience in Dallas Boeing's pilots have made well over 90 test flights as it works its way toward recertification. "The history of our industry shows most accidents are caused by a chain of events," Dennis Muilenburg said in a statement after officials released initial findings into the Ethiopian crash. "This again is the case here, and we know we can break one of those chain links in these two accidents." Boeing says its fix will make the 737 MAX "even safer", even as the plane's very design seems to be a primary factor in the crashes that killed well over 300 people. "When the MAX returns to the skies with the software changes to the MCAS function," Muilenburg said, "it will be among the safest airplanes ever to fly."